How to Emboss Resist with Sheena Douglass Sparkle Pens! Emboss resisting can be an intimidating technique to try, but it’s really easy once you get more comfortable with it. Emboss resisting is when you heat emboss a stamp in white or clear embossing powder and then add a colouring medium or inks on top of your embossing once it’s cool and dry. You can use watercolours, Distress Oxides, or Distress Inks (just to name a few), but you can also use some more pigmented colouring mediums like the Sheena Douglass Sparkle Pens. These pens are not only vibrant, they leave a really striking emboss resisting effect that’s sure to make an impression! 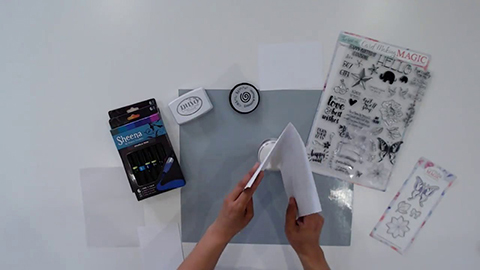 Join Janette as she shares how to do the emboss resist technique with the latest exclusive gift from Simply Cards and Papercrafts Issue 178. 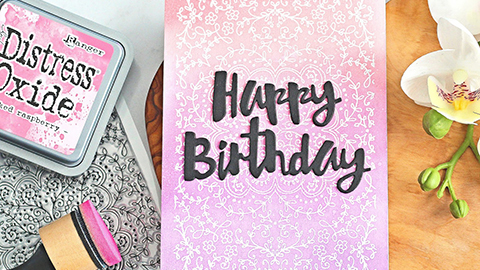 The gift included in the magazine is one Cardmaking Magic A4 sized stamp set, PLUS a 4 piece coordinating die set! See these products in action!